The 4 star Scotsman hotel is the former home to Scotland’s national newspaper. When converting the newspaper printing house into a boutique hotel much care was taken to keep all original architectural features and layout intact. 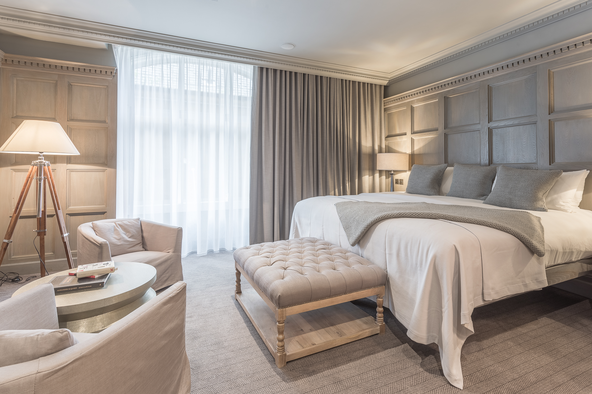 As a result, no two rooms are alike and each bedroom at The Scotsman Hotel is individually designed to offer a unique experience with every visit. Positioned just off the Royal Mile, holding a desirable location on North Bridge nestled in between the hustle and bustle of the New Town and the historical Old Town, the hotel is the perfect location to explore Edinburgh. With an excellent range of flexible and versatile event spaces right here in the heart of the city, The Scotsman Hotel is the perfect place for your event or meeting. Our rooms are able to accommodate intimate gatherings for just 20 people and conferences for up to 60. You also have the choice of a set package or we can create a bespoke menu and drinks offer for your event. 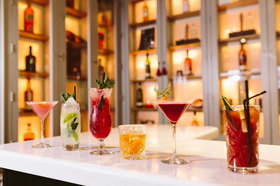 The Scotsman Hotel will also offer to two exceptional, stylish event spaces, where parties of up to can host meetings, conferences and private functions, moving seamlessly to and from the adjoining café and bar area. Opening June 2018, The Grand Café is home to one of Edinburgh’s most magnificent Old Town venues. Set within the Scotsman Newspapers former advertising hall. Inspired by the ‘Grand Cafes’ of Europe, the new North Bridge venue promises a welcoming, relaxed drinking and dining experience to suit all tastes and occasions, juxtaposing a menu of modern food and drink with the authentic charm of its interior which dates back to 1905.